School/sport uniform hair ties - you choose the colour. 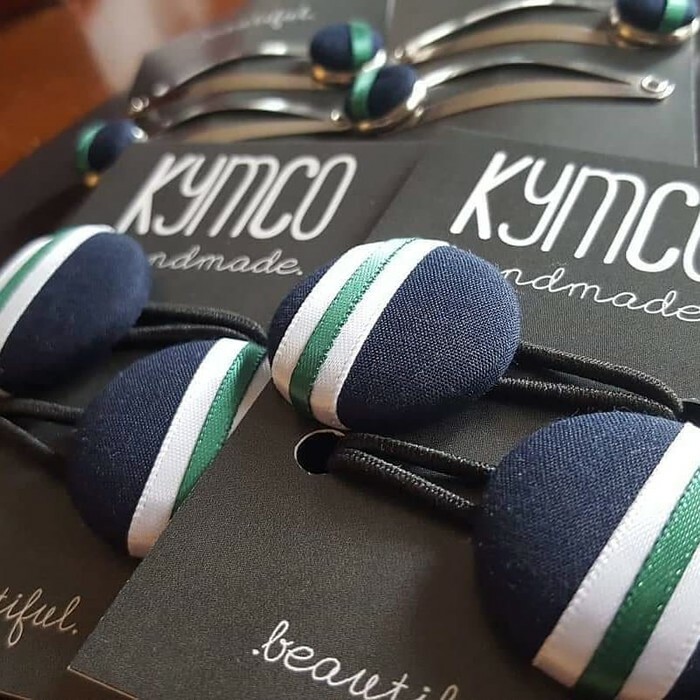 These fun, custom matched hair ties are perfect to match school or sporting club colours! 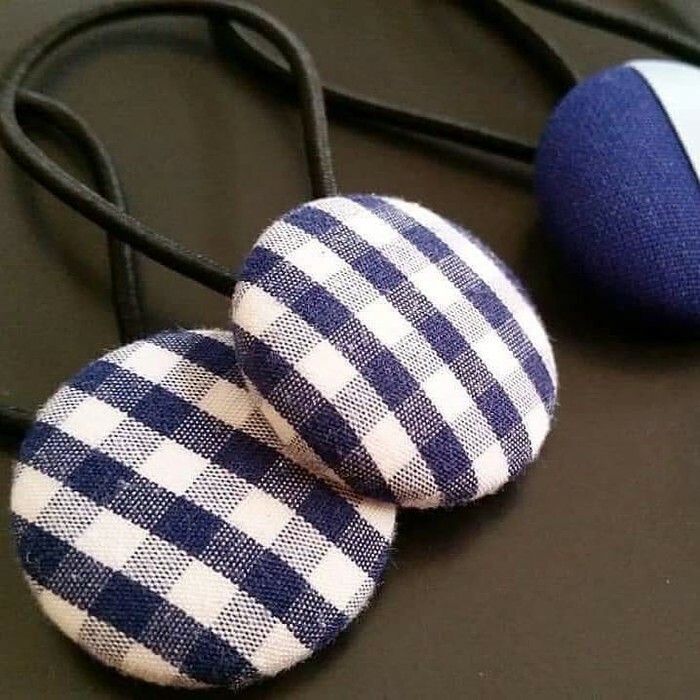 Includes one pair of handmade fabric button hair ties. Specify in comments at checkout which colour you would prefer. If you don't see your colours, please send me a message and I can make your own unique colours. Please allow 5 business days for your order to be made, packaged and posted. For local pick up (Ringwood East, Victoria) use code 'LOCAL' at checkout and send me an email to arrange pick up within 7 days. Please send me a message if you need this order to be wrapped for a gift. If you love these hair-ties but would prefer a different fabric, most fabrics you see on this page, instagram or facebook can be made into hair-ties. Please send me a message - that's the beauty of handmade, I can make to order!